The OtterBox 1000 Series case is waterproof, crushproof AND watertight (it floats!). These cases are perfect for protecting your valuables from the elements, whatever they may be. The OtterBox 1000 offers watertight protection and storage for pagers, car keys, film, batteries, credit cards, small wallets, cell phones, fishing lures and so much more. 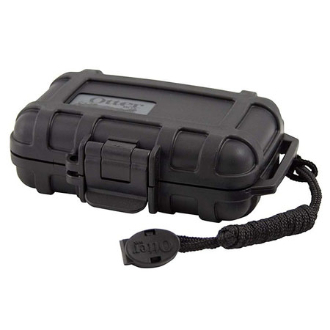 The OtterBox is a patented drybox designed to handle full submersions--up to 100 feet!